Selling a used boat? Here's a step by step guide to make it happen quickly and easily. If you clicked on this article, we have a pretty good idea of what you're thinking right now: Oh no, I have to sell my boat! While we hate to think of you going boatless, we understand. While we love our boats with all our hearts, for most of us, buying a new one requires selling the old one. All of us here on the boats.com editorial staff have been there. But the sell-my-boat process doesn't have to be painful. This for-sale-by-owner boat selling guide is intended to provide information to private sellers like you to help get you through the steps. Prepare your boat for sale—general maintenance, clean, and de-clutter. 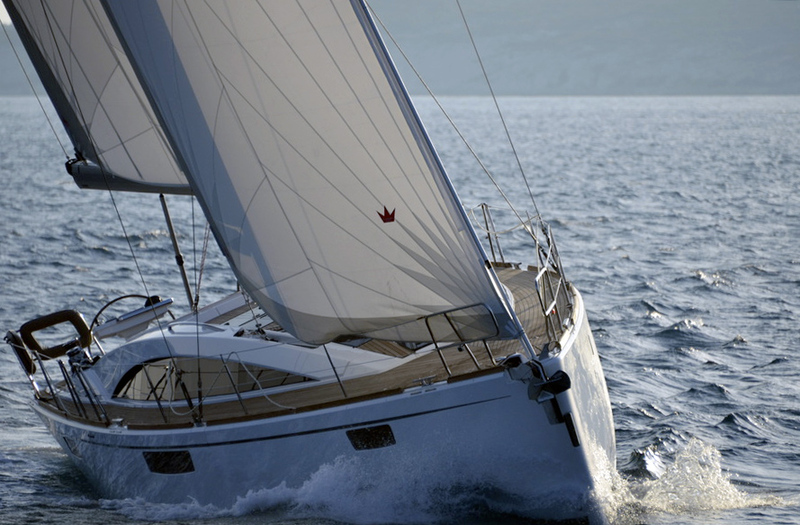 Show your boat and gain exposure—sea trials. 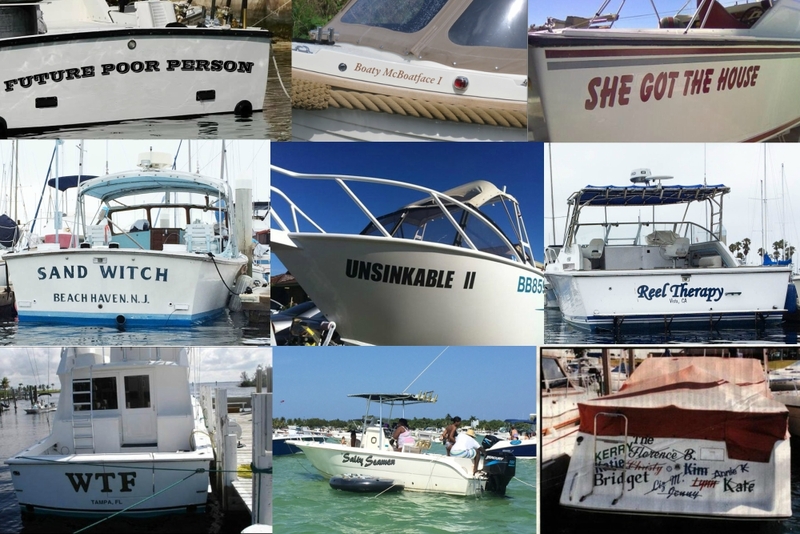 "Sell my boat" are three words no boat owner likes to say. But they're often necessary, when you want to say "buying a new boat." Once you've decided to sell your boat, you will definitely have to do some prep work in order to get the best price. Quirks and mechanical issues that you’ve lived with for years and have become accustomed to will drive away interested buyers. 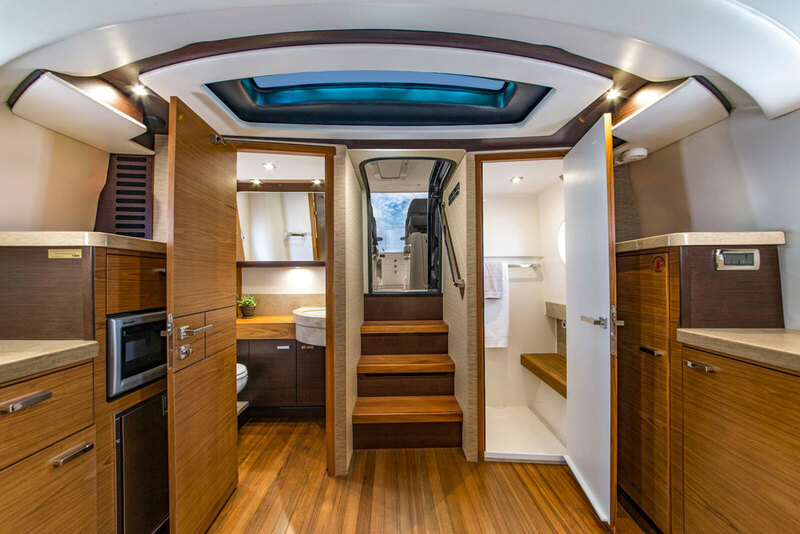 That rattle in the genset, the hatch that sticks on one side, and the door secured open with a bungee cord may seem fine to you, but you can bet that they'll make your boat significantly less attractive to everyone else. Get these things fixed, before you show the boat to any potential buyers. Clutter is another way to lower your chances of a quick sale. You may feel the throw-pillows, potted plants, and nautical sculptures make your cabin feel "homey," but to a buyer, things like this just make the cabin appear smaller. On runabouts and center consoles, also look out for clutter in stowage compartments. Yes, it will hurt to pull the water skis and tow-toys out of that box in the sole, but removing as many items as possible is the right move. Just leave the basic required safety items in place, and if any of the other gear is being included in the sale, show it to the buyer separately. A clean, open, uncluttered cabin simply looks and feels bigger. Plain old dirt will also lower any offer you might receive. Just ask a car salesman how important it is to have everything clean and shiny when a buyer comes to look. And remember, boats are bought with emotion, not reason and logic. Someone will have to fall in love with your boat if they're going to stroke that check, and looks have everything to do with their emotional response. So prior to listing, break out the scrub brushes and wax. Give your boat the shine of its life—you'll end up selling it faster and for a higher price. Once you have the boat in tip-top shape, you can move on to the decision-making stages of Step I. You need to essentially make a sales plan, and in doing so, you will have to answer some very big questions. You'll need to decide if the help of a broker or dealer is in order, or if you'll handle the sale on your own. Learn about the benefits and points to consider when choosing between Boat Brokers, Dealers, or For Sale By Owner. Finally, decide if you should have a survey done. Although this is commonly considered the buyer's responsibility, if you have one done ahead of time it can speed the time to sale—and help uncover any potential issues that are better addressed ahead of time. 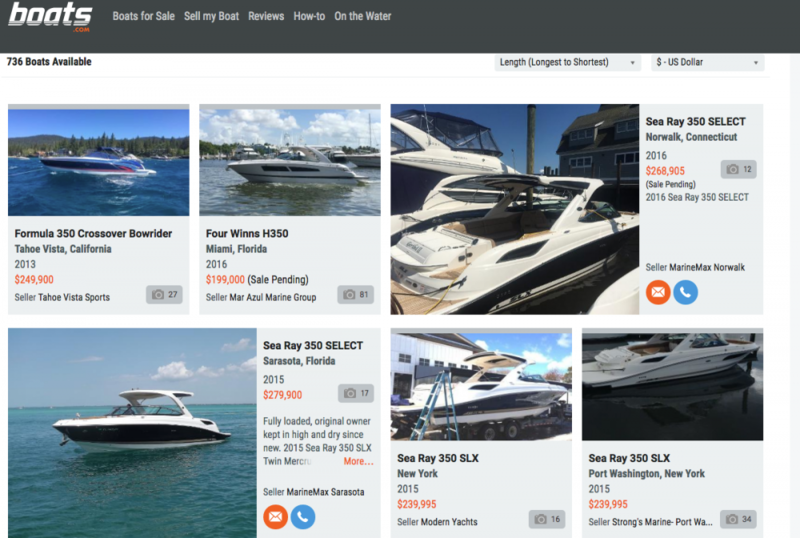 Now that your boat is ready to be placed on the market, you have to make some more decisions: ad placement, target audience, selling price, and so on. Will you go with print, advertise online, get a sign and park your boat in a high-visibility spot, or try an all-of-the-above approach? Do you remember where you found your boat advertised? That may well be the best place to sell it again. 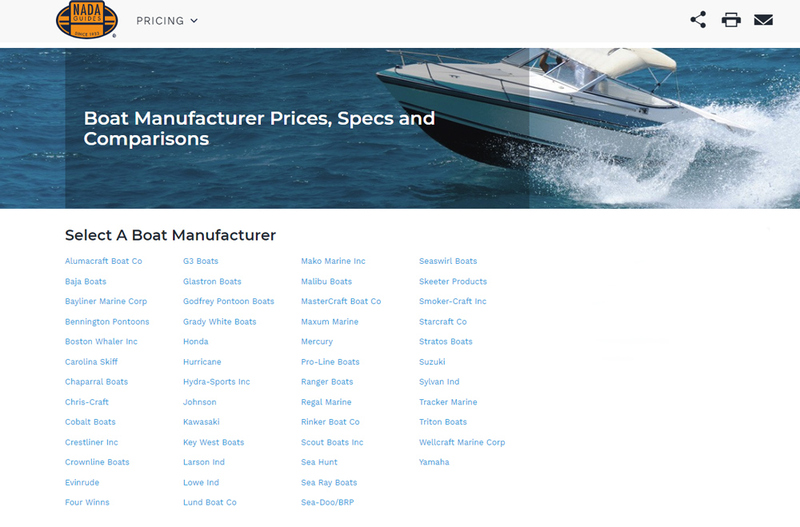 Boats.com has over 150,000 boats for sale in a searchable database, and our online ads are easily updated with new photos or price changes (visit our Sell My Boat section to create a listing). 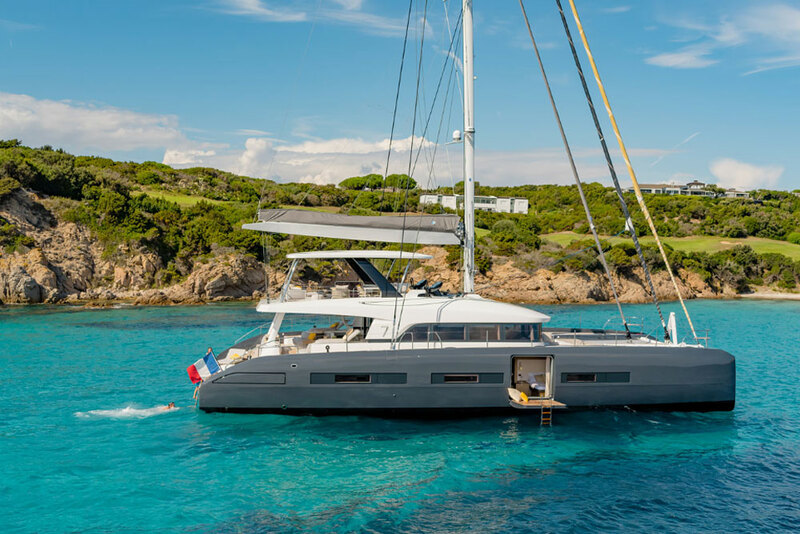 Newspapers, newsletters, and other online classifieds can offer additional access to specialty buyers, whilst there is a wealth of information and more detail about why selling your boat online is best in most instances. And, on how to make your boat look even better online. 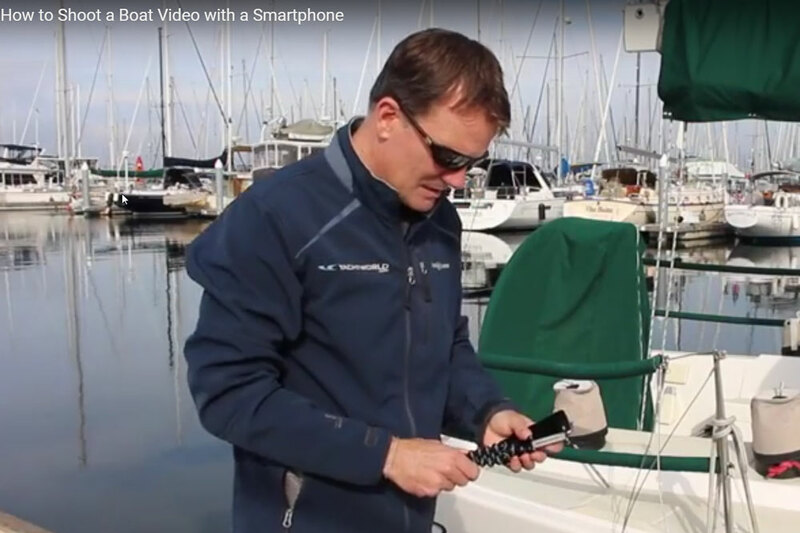 Shooting a boat video with your smartphone will speed up the sale. Our statistics show that a boat listed with a video usually sells around 20 percent faster than one listed without. Settling on an asking price is your next big move. 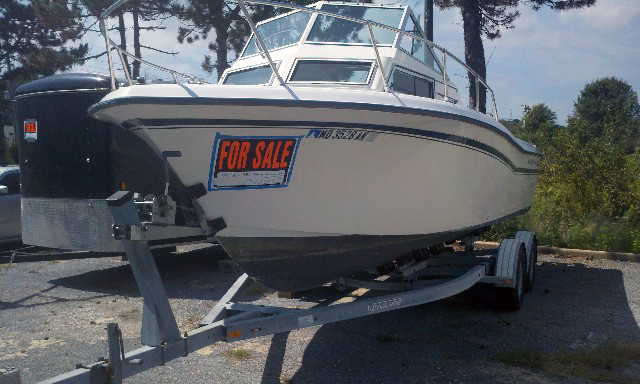 Prior to making any big decisions, reading How to Price your Boat for Sale will be beneficial. This article will walk you through things like using the Boat Trader Price Checker tool, the other listings on boats.com, and book values, to arrive at a reasonable number. And be sure to watch our How to Sell Your Boat for the Highest Price video, too. Hopefully, the advertisements will generate plenty of calls and emails enquiring about your boat. Now, it's time to start showing it to potential buyers. That means arranging sea trials and answering questions. Lots of questions. And unfortunately, in some cases it also means dealing with "tire-kickers" who aren't really serious buyers. (There are even people who will claim to be a buyer just to get a free boat ride.) 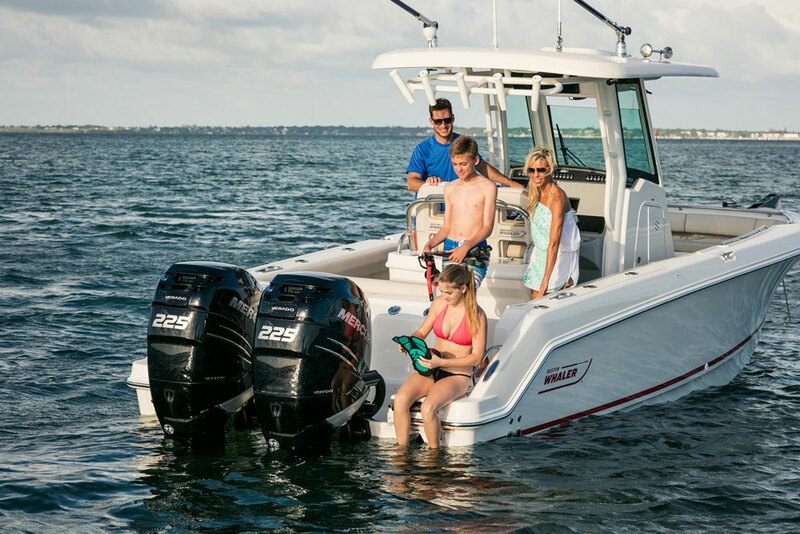 Here are some articles and videos that will help you decide on the best ways to show your boat, and in the long run, save time and effort. 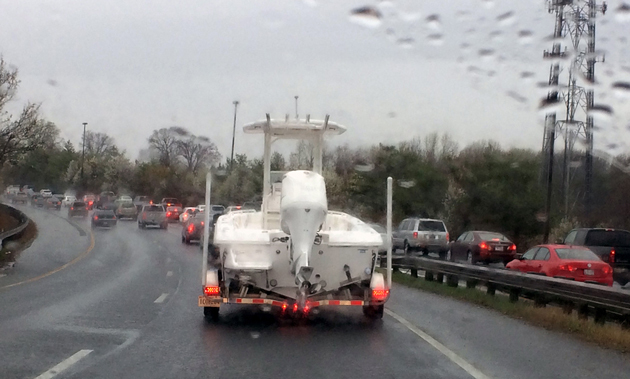 When showing the boat, some owners become a bit hesitant if conditions are less than ideal. They don't want to go for a sea trial in rough weather, as the boat may bang around a bit and scare off the potential buyer. Or they might not want to try that hard-starting engine in cold weather. During these times, remind yourself that ideally, you're not just trying to turn your boat into cold, hard cash. You're trying to find the "right" buyer, the one who will ultimately fall in love with your boat, take care of it like you would, and will be a happy boater. So keep an open mind when it comes to sea trials, and don't be afraid to show the boat in less than ideal circumstances. "Bye, bye, love." Is that rain, or are tears clouding our view? We're not sure. There, there, you poor dear... we know it hurts. She was amazing. She was your pride and joy. You loved her like you've loved no other. Now, she's gone. There's only one thing in the universe that will help you get over this crushing loss: buy a new boat ASAP. Yes, we can help you in this regard, too. It's time to check out the boats.com Boat Buyer's Guide, post haste! Editor's Note: This story was originally published on boats.com in May 2015.